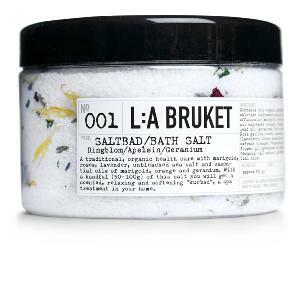 For centuries and even nowadays, baths with sea salts are the oldest treatments used in health cure and spa to soften the skin and revitalize the body and the mind. A traditional and natural health cure with Calendula, Rose, Lavender and unbleached sea salt as well as essential oils of Calendula, orange and geranium. 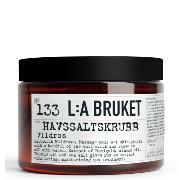 Pour a handle (50 to 100 gr) of these salts into your bath to enjoy a genuine Swedish "Kurbad" fragrant, relaxing and soothing treatment worthy of a spa.